Arguably the most traditional Battlefield mode for all-out war, Conquest is back with a bang in Battlefield 5, as players, tanks, and aircraft battle for dominance over a massive map. In our Battlefield 5 Conquest guide, we'll be getting you up to speed with everything you need to know about the fundamentals of the mode, including a full range of Battlefield 5 Conquest tips, so you can earn points as quickly as possible. If you instead need any other help with DICE's latest game in the FPS series, you'll want to head over to our Battlefield 5 guides hub. It's on this page that you can find tips and tricks, essential info, and much more. 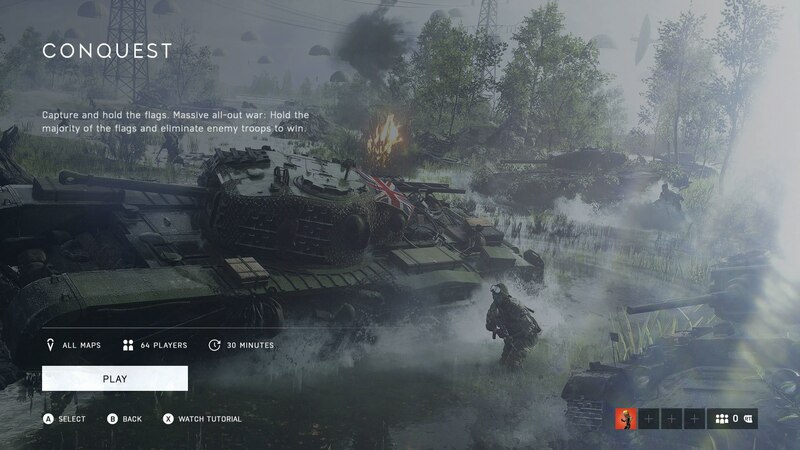 Just in case you're new to the Battlefield series in general, Conquest is the name of the 'capture the flag'-type mode for Battlefield 5. There are always six control points on every map for the mode, and Conquest typically only takes place on the biggest maps in the game, like Arras or Twisted Steel. Basically, it's a race between two teams of 32 players to capture and hold the most Conquest points on the map. To capture a Conquest point, you simply need to be in the general vicinity of the Conquest point on the map, but the closer you stand to the flag at the center of the point, the quicker you'll capture it for your team. 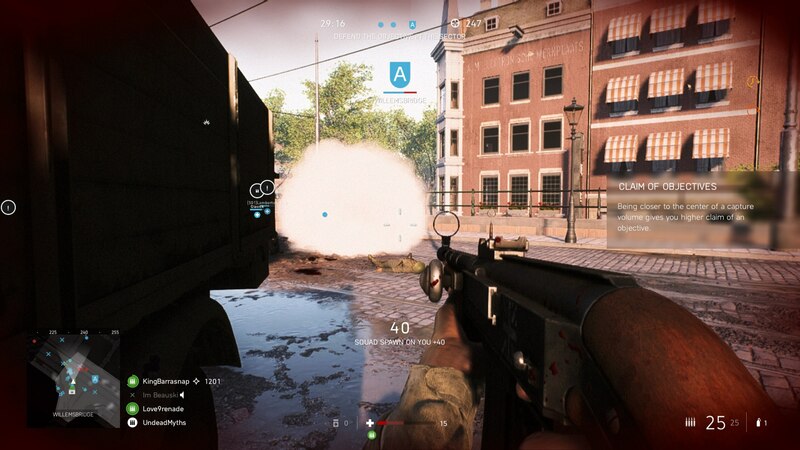 If you're in the area of a Conquest point in Battlefield 5, you'll see the letter of the point appear in the middle of the screen. But you'll want to note the small horizontal bar just underneath this letter, which determines if there are any enemy soldiers on the point at the same time. If there's any red in this bar, it means an enemy soldier is nearby, so prepare to meet some resistance pretty soon. On top of this, you can only capture the Conquest point if your team (blue) fills more of the bar underneath the letter than the opposing team (red). For example, it's impossible to capture a Conquest point if you're attacking it by yourself, and there are two enemy players waiting on the point to defend it. In other words, teamwork makes the dream work. Just below, we'll run over some of the additional rules you need to know when playing Conquest in Battlefield 5. Both teams start with 600 points (or tickets) in total. Tickets are lost when a player on that team dies, or when the opposing team holds all Conquest points on the map. The first team to have their tickets reduced to 0 loses the match of Conquest. Speed is the key to winning Conquest, and you'll want to hop in vehicles at the start of the game, and rush to the nearest Conquest points ahead of you. Always spawn on the Conquest points that are furthest up the map. There's no point spawning at the back Conquest point near where you started the game. Take advantage of tanks when they're available. A tank can turn the tide in capturing a Conquest point, counting for at least three soldiers. Now that we're done with this guide on the Conquest mode in Battlefield 5, you can check out our additional guides on DICE's World War Two shooter. Head over to our Battlefield 5 best guns guide, or our Battlefield 5 building guide for more.